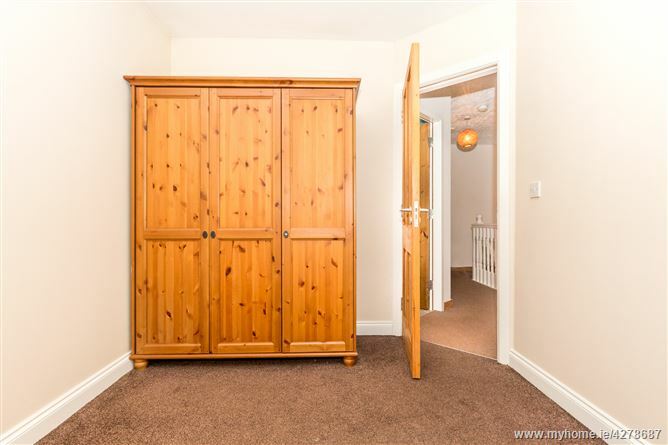 Brought to the market in simply walk in condition - welcome to No. 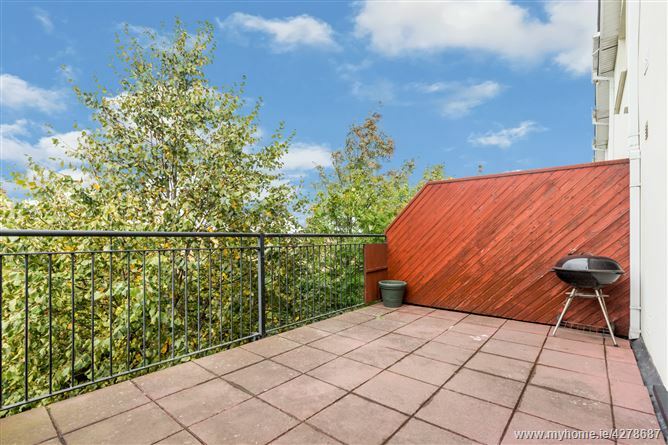 69 Holywell Drive a bright and spacious 3 bedroom duplex that benefits from a sunny south facing rear balcony. 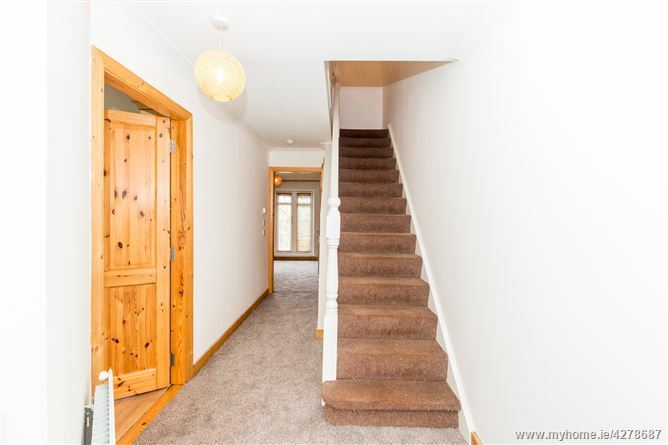 Comprising of entrance hall with under-stairs storage, large living room with access to the rear balcony, kitchen / breakfast area and a guest w.c. completes the ground floor. 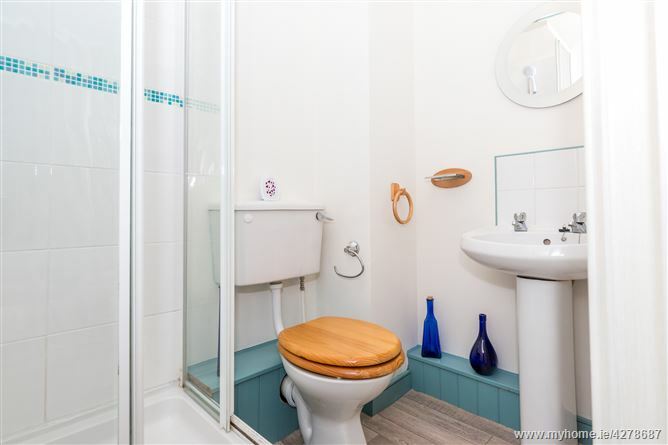 First floor comprises of 3 bedrooms (master en-suite) and a family bathroom. 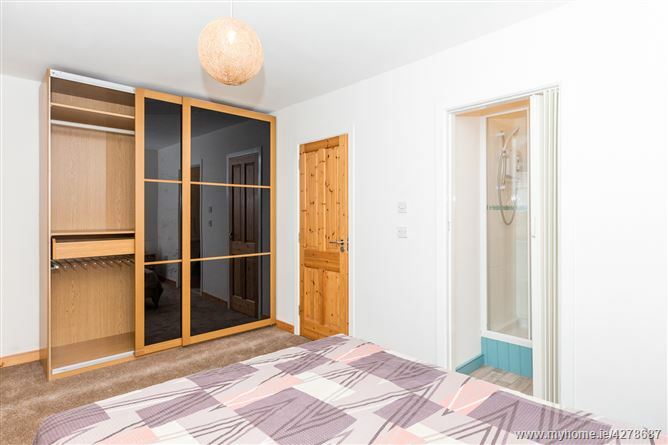 Further features include PVC double glazed windows, gas fired central heating, large south facing balcony and attic space which provides for storage. 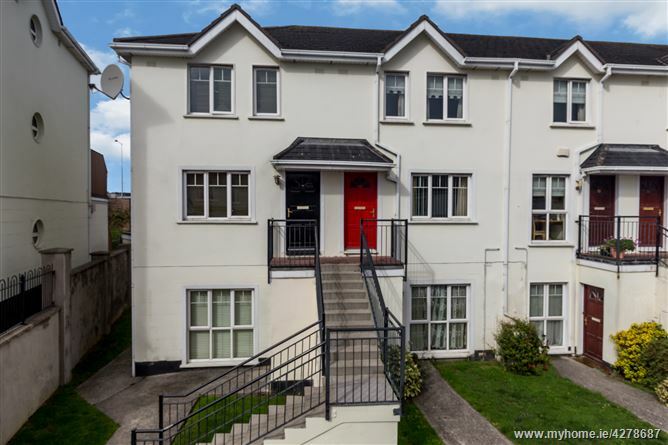 The property is ideally located within a short walk of shops (Including the recently opened Tesco), schools and commuter bus links including the Swords express bus service which allows for easy access to Dublin City Centre. Also within close proximity is Swords Village and the Pavilions Shopping Centre with a host of cafes, restaurants and shops while The port tunnel, The M1, M50 and Dublin airport are all within easy access. 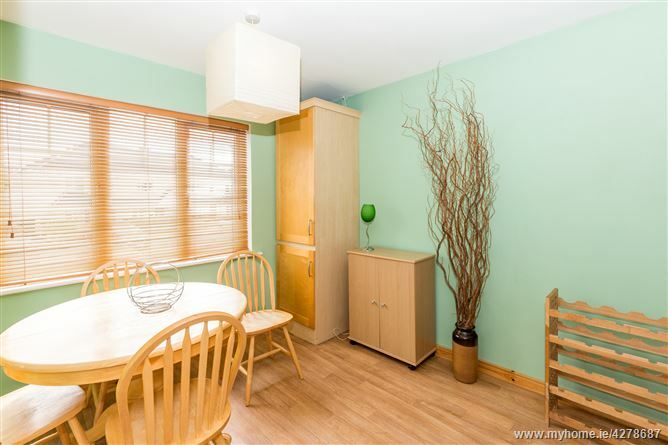 Viewing comes highly recommended to appreciate this fine family home. 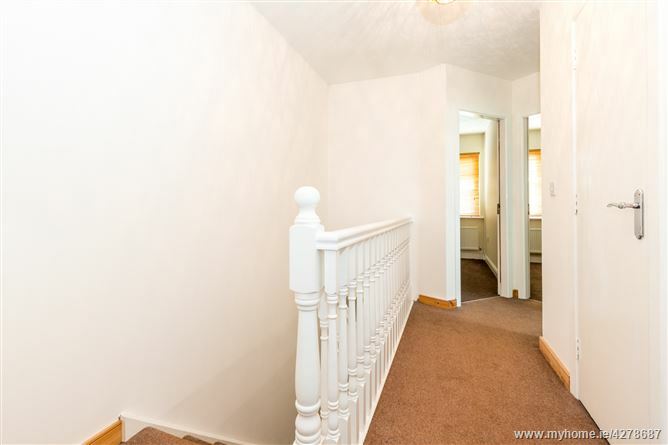 Entrance Hall: 5.81m x 1.96m with newly fitted carpets. Guest w.c and w.h.b. Tiled floor. 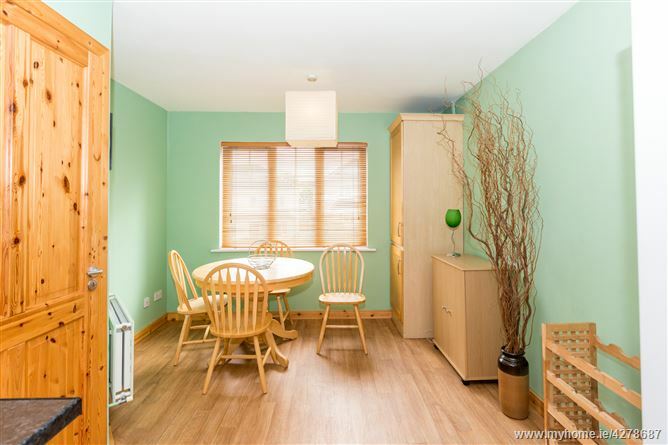 Kitchen/Dining Area: 5.76m x 2.85m with range of shaker style fitted press units. Plumbed for washing machine. 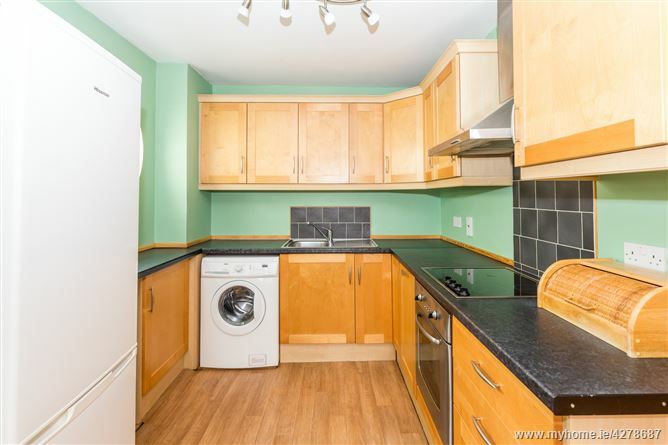 Part tiled behind worktops. 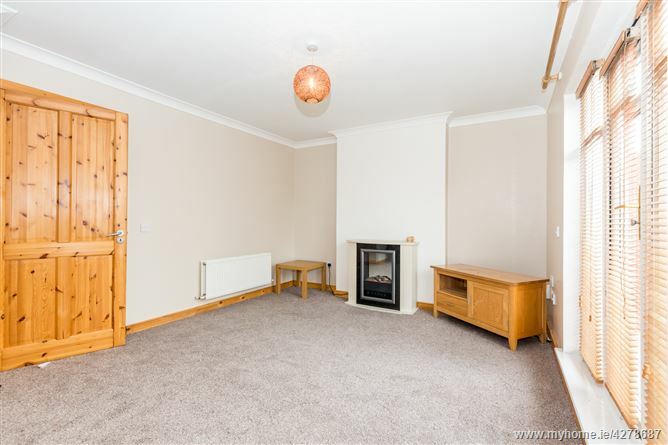 Living Area to rear: 3.53m x 4.57m with newly fitted carpets. 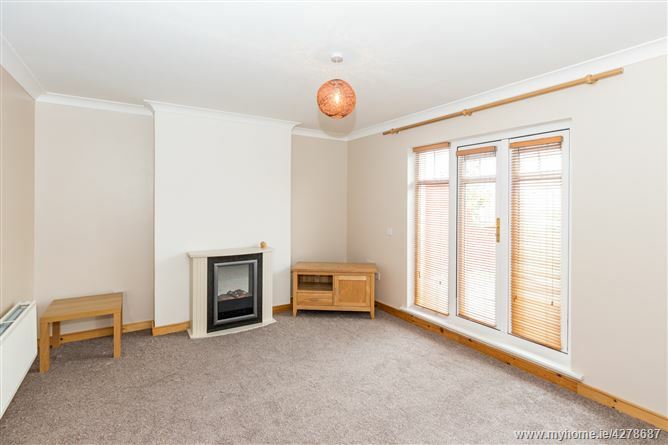 Gas fire inset. TV point. Access to balcony. Landing: 3.36m x 1.94m with storage press and hot press. 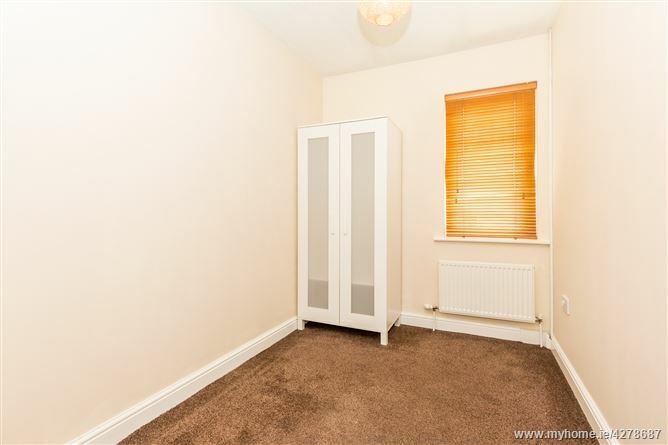 Bedroom 1: 2.79m x 4.56m with built in wardrobes. En-suite: 1.28m x 1.81m comprising of triton electric shower, w.h.b., w.c.. Tiled shower and screen. 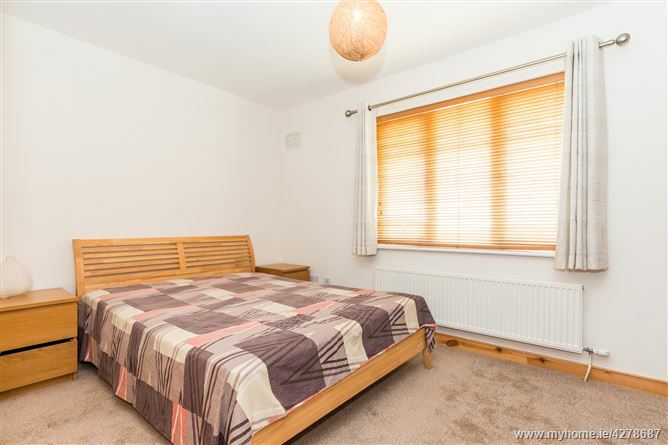 Bedroom 2: 3.13m x 2.47m. 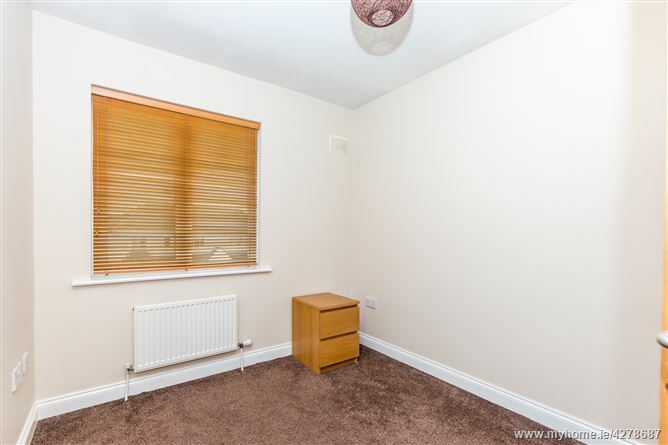 Bedroom 3: 3.11m x 1.98m. 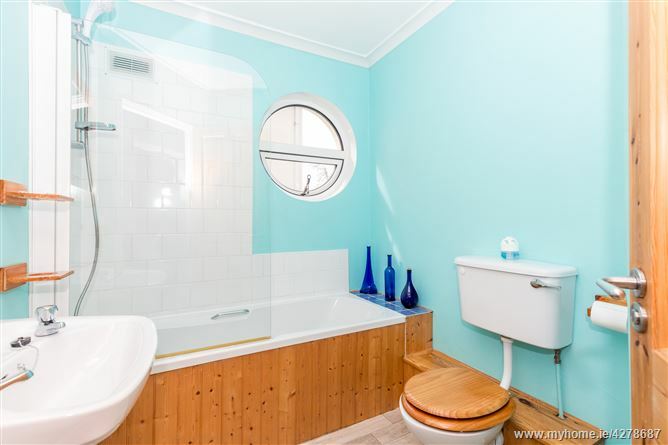 Bathroom: 1.89m x 2.44m comprising of bath, w.h.b., w.c.. Part tiled floor and walls.